Comparative Anatomy of the Nasal Cavity in Buffaloes, Camels and Donkeys. Mohamed A. Metwally Department of Anatomy and Embryology, Faculty of Veterinary Medicine, Benha University, Egypt. Hatem B. Hussieni Department of Anatomy and Embryology, Faculty of Veterinary Medicine, Benha University, Egypt. Ahmed A. Kassab Department of Anatomy and Embryology, Faculty of Veterinary Medicine, Benha University, Egypt. Eman A. Eshrah Department of Anatomy and Embryology, Faculty of Veterinary Medicine, Benha University, Egypt. The aim of this study was to reveal the comparative anatomy of the nasal cavity in buffaloes, donkeys and camels. It was carried out on 30 heads of apparently healthy adult animals, 10of each species. Heads were fixed and used for gross and cross sectional anatomy. The study provided information about the peculiarities of nasal anatomy in each species. The conchal arrangement was greatly different in camels, while that of buffaloes and donkeys were similar to other ruminants and equine. In camels, the nasal conchae were condensed in the caudal two thirds, the ventral nasal concha was shorter and twisted and the alar and basal folds were raised from a common extension. Camels have a vestibular pouch known as lateral nasal diverticulum. It was a cylindrical tube anatomically different from the nasal diverticulum of donkeys and other equine. The cartilaginous skeleton of narial aperture was reduced in donkeys and camels. Moreover, the rostral portion of nasal septum in camels was formed of muscles instead of cartilage. In the three species, vomeronasal organ and dorsal and ventral swelling bodies were present on both sides of the nasal septum. However, in camels the vomeronasal organ was notably longer and wider. In conclusion, the anatomy of camel nasal cavity in contrast to other domestic animals was presented interesting anatomical features similar to those of proboscis-bearing mammals. METWALLY, Mohamed A. et al. 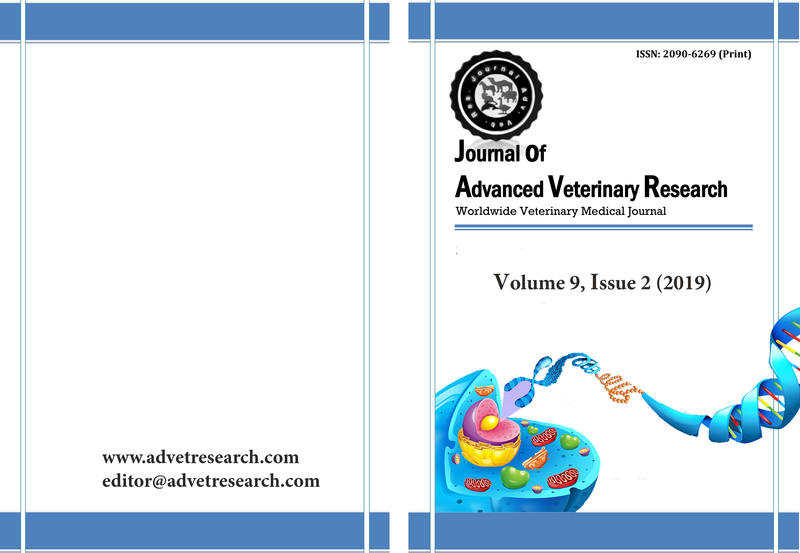 Comparative Anatomy of the Nasal Cavity in Buffaloes, Camels and Donkeys.. Journal of Advanced Veterinary Research, [S.l. ], v. 9, n. 2, p. 69-75, apr. 2019. ISSN 2090-6277. Available at: <https://advetresearch.com/index.php/AVR/article/view/356>. Date accessed: 24 apr. 2019.